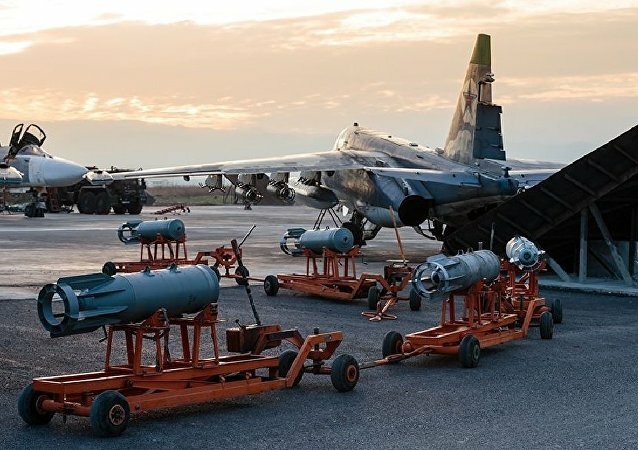 The Russian Defence Ministry announced that it has conducted an airstrike on a militant warehouse in Idlib containing weapons and ammunition after having negotiated the move with Turkey. WASHINGTON (Sputnik) - The statement by the Russian Defense Ministry that a drones attack on the Hmeymim airbase in Syria was controlled from a US reconnaissance aircraft are baseless, Operation Inherent Resolve spokesman Sean Ryan told Sputnik on Friday. Russian Deputy Defense Minister Alexander Fomin stated earlier today that Russia’s Hmeymim Air Base in Syria had been subjected to a massive drone attack, with unmanned aerial vehicles piloted by a US Poseidon 8 surveillance aircraft. On Monday, a Russian recon aircraft carrying 15 servicemen was destroyed by friendly fire off the Syrian coast; the incident coincided with an Israeli attack on targets in Syria. Following the disaster, Russia's Ministry of Defense accused Israel of "irresponsible action" and of using the aircraft as a shield against Syrian anti-aircraft systems. A Russian Il-20 aircraft vanished from radar screens near Hmeymim Airbase in Syria late Monday with 14 servicemen on board, the Russian Defense Ministry reported. 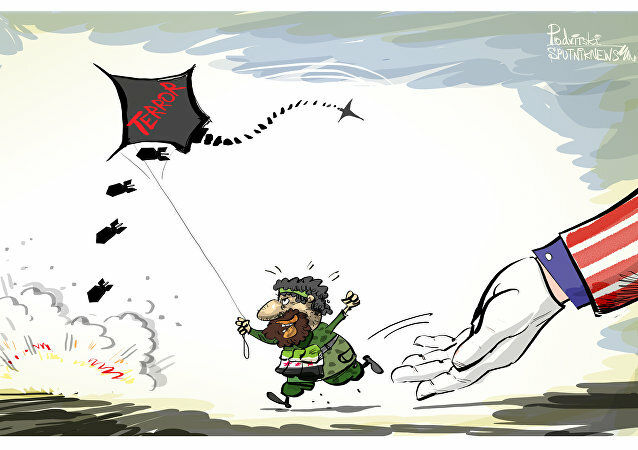 On Saturday the Russian Defense Ministry's Reconciliation Center already reported that a drone launched from a militant-controlled area had been detected and destroyed near the Hmeymim airbase in Syria. Russian air defenses intercepted and destroyed a projectile targeting the Hmeymim airbase in Syria Monday, the Russian military reported evening. Russia attaches great importance to its air defense systems, which could be regarded as second to none, Sputnik contributor Andrei Kots notes. 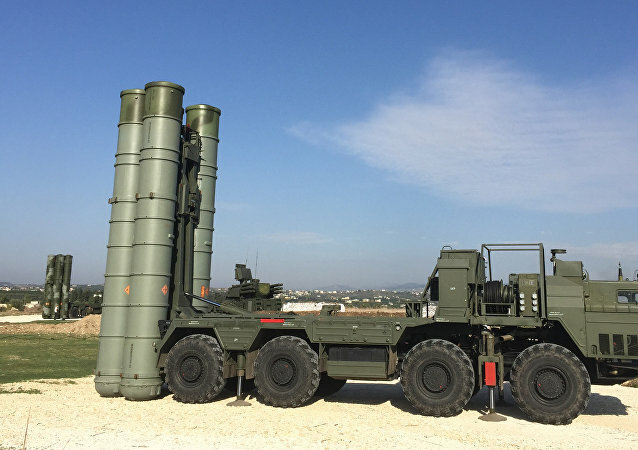 The journalist explained why Russia's Hmeymim airbase in Syria is an example of the country's air defense network and shed light on Russia's most advanced S-500 Prometey system. The Russian presidential election is set to take place on March 18, but military personnel at Russia’s base in Syria have already cast their votes, due to local holiday peculiarities. MOSCOW (Sputnik) - The Ministry denied media reports of a drone attack on the Hmeymim airbase in Syria in the beginning of January, stating that all the published information was incorrect. MOSCOW (Sputnik) – Russia’s remaining contingent in Syria has the necessary potential needed to deter terrorist activity, Kremlin spokesman Dmitry Peskov said Monday. The Russian Defense Ministry has reported that drones used to attack the country's military bases in Syria, have been launched from one position. The Russian Ministry of Defense has published photos of the drones launched by terrorists from the Idlib de-escalation zone at the country's military facilities in Hmeymim and Tartus. 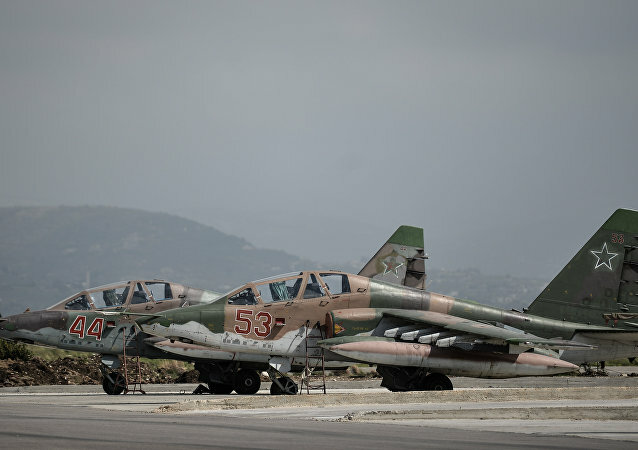 Russian troops stationed at the Hmeymim airbase and the Tartus Naval Base managed to thwart a massive drone attack launched against these facilities by terrorist forces. 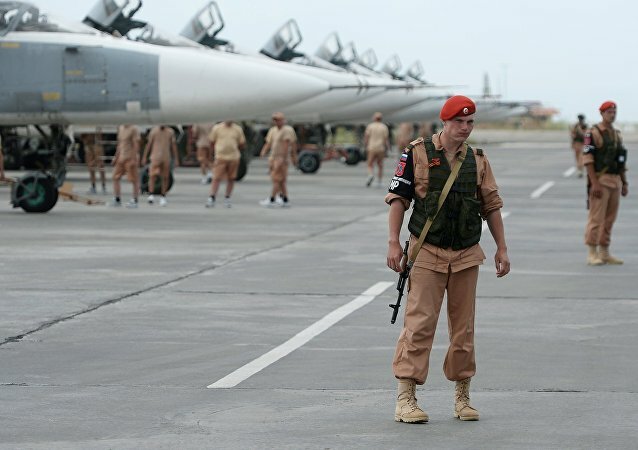 The Russian Defense Ministry has refuted media reports about the alleged destruction of seven Russian military aircraft by militants during an attack at the Hmeymim air base in Syria. This week the Trump administration granted the US Defense Department authority to arm the Kurdish People’s Protection Units or YPG, which are fighting against Daesh in Syria. Syrian and Turkish military experts discussed the decision with Sputnik, speculating on what Washington has in mind for Syria. 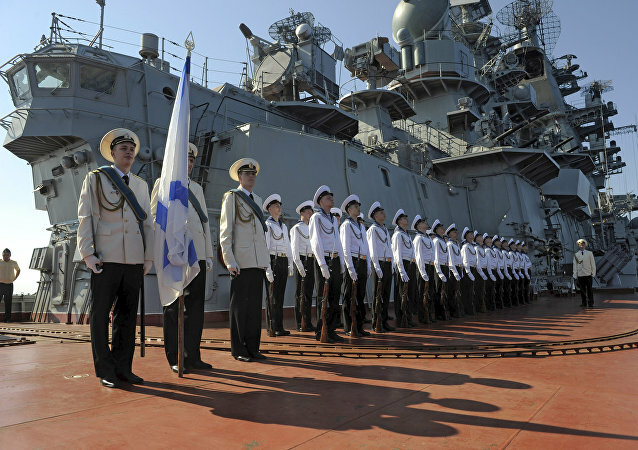 Commenting on Wednesday's announcement by the Russian General Staff that Russia has withdrawn almost half of its air grouping originally based at the Hmeymim facility in Syria, military political scientist Oleg Glazunov told Radio Sputnik that there has been a turning point in the Syrian conflict and Daesh have already lost the fight. The Tartus naval facility and the Hmeymim airbase in Syria help suppress terrorism in Syria's neighbors, the Russian General Staff revealed. Complete control has been established over Syria's Palmyra, the Russian General Staff said on Wednesday, adding that terrorists are suffering serious damage. According to Deputy Commander of Russia’s Aerospace Forces Lt. Gen. Viktor Gumenny, Russian military facilities in Syria are protected by modern air defense systems.